Hello all, my name is Bethany. 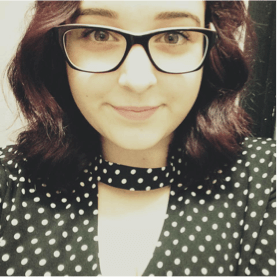 I am 19 years old, I reside in London and I live with chronic pain. I started Blogging as Young, Sick and Invisible when I was diagnosed with two chronic illnesses in the space of a year. My aim is to share my experiences and hopefully help those along their journey of being diagnosed, and help them to share their stories. In March of 2017 I was diagnosed with Raynauds after getting chilblains (which hurt like hell). I couldn’t walk, couldn’t drive… so it was a sofa life for me for two months. After being diagnosed with Raynauds, I was later diagnosed with Erythromelalgia (EM) in October 2017, after my feet started swelling up red. The only way to describe the pain is like standing barefoot on a hot marble floor for an hour, even though you’ve literally only been standing for five minutes. The easiest way I can describe what having both Raynauds and EM feels like is to think of being allergic to both hot and cold. My body’s thermostat is so wonky that being extremely hot or cold to me is like a normal temp for you. During my October appointment, I was also told I had a positive ANA (Anti-nuclear antibody), which means that I have antibodies attacking my body. However, what they will become is unclear, as the reading isn’t positive enough (this can become Lupus, Scleroderma, Rheumatoid Arthritis and so on). In April of 2018 I was told I also have GERD (gastroesophageal reflux disease) after a weeks-long acid reflux. Medicine, however, has really helped, and I no longer feel like puking everywhere, nor do I have breastbone pain. Before I was diagnosed, I used to love playing out with friends, cooking, running outside in all weathers – generally being a normal kid. Now I know I’m newly diagnosed, but Raynauds has affected my entire life. At first I thought I was just a weird cold kid that had severely sweaty hands. I had thought there were many things I wouldn’t be able to do, things that I will now excel in. Doing these things that may be tricky, but I should try my hardest, anyway. I still cook, but it takes longer and requires multiple rests, I no longer go outside and hang out with friends or play, as the weather can completely throw my body clock off and cause me to sleep for over 13 hours. Even though certain tasks can take me longer to complete, or drain my energy, I do still work. I have had two failed jobs, one in March of 2017 in a nursery. My boss there didn’t listen to me when I asked to get my coat when going to the playground (more factors were involved), but I left after a week. After looking for jobs for ages (which is hard in this day and age as so many jobs are looking for experienced people, and we are looking for experience resulting in no jobs), my mum found me a job in October of 2017 in a hairdresser salon. Most the employees there were lovely, but the tasks being thrown on top of each other got the better of me, and I’d leave crying and throbbing in pain, I left this job after five weeks. Bethany Sibley is the creator of Young, Sick and Invisible. She was diagnosed with Raynaud's disease in March 2017, erythromelalgia in October 2017 as well as low blood pressure and a positive ANA, hyper-mobility in June 2018 and PTSD in August 2018. She writes to share her experience to help them and to help herself as she manages her chronic pain.